Overall this recipe was pretty good. 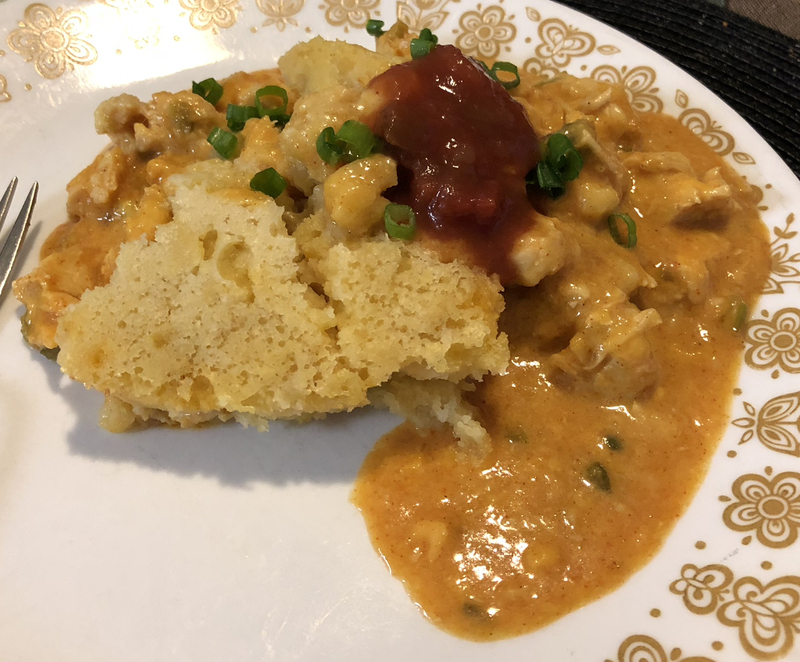 The contrast between the sweetness of the cornbread and the flavor of the chicken mixture is pretty steep, and I’d imagine that depending on the person it might not taste that great. Personally, I liked the recipe and I thought that it went well served with some tortilla chips and salsa. Note that there is a little bit of “unspoken” prep time in that you have to cook the chicken if you did not buy it pre-cooked, so make sure you put aside some time for that! 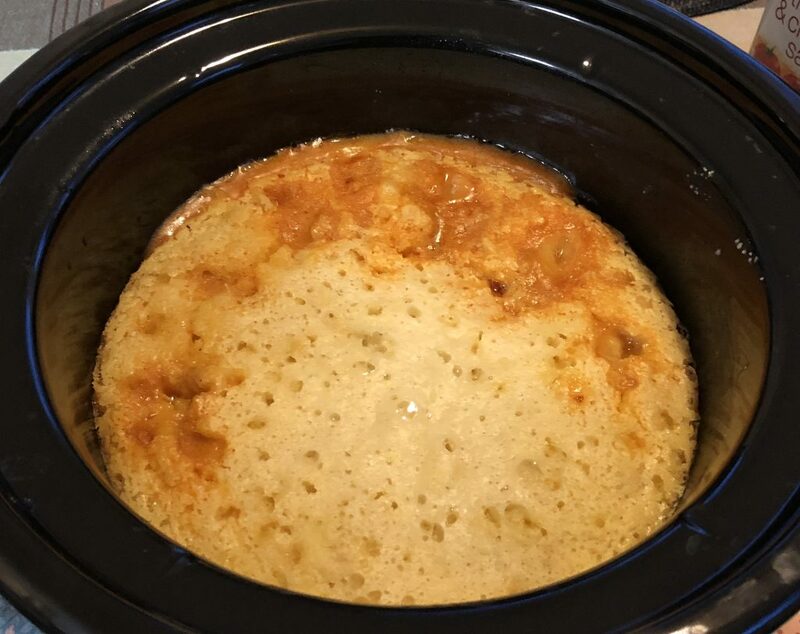 (1) Spray slow cooker with cooking spray. In large bowl, mix chicken, cheese, soup, 1/2 cup of milk and taco seasoning mix. Stir in green onion whites and jalapeño chilies. Pour into slow cooker; spread evenly. (2) In medium bowl, mix cornbread mix, corn, 2/3 cup of milk and egg. Stir in melted butter. Pour evenly over chicken mixture. Place clean dish towel under cover of cooker. 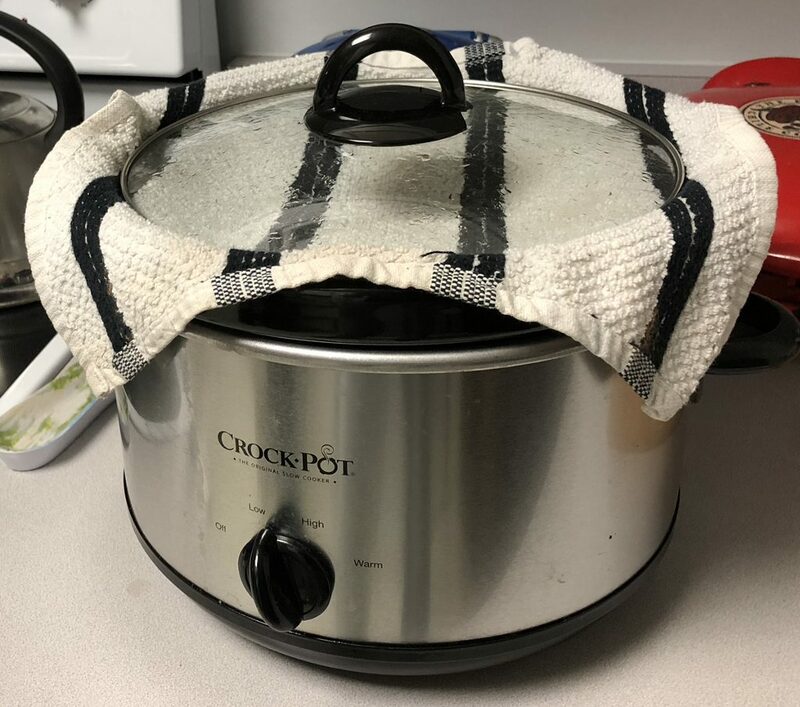 This will prevent condensation from dripping down onto cornbread. 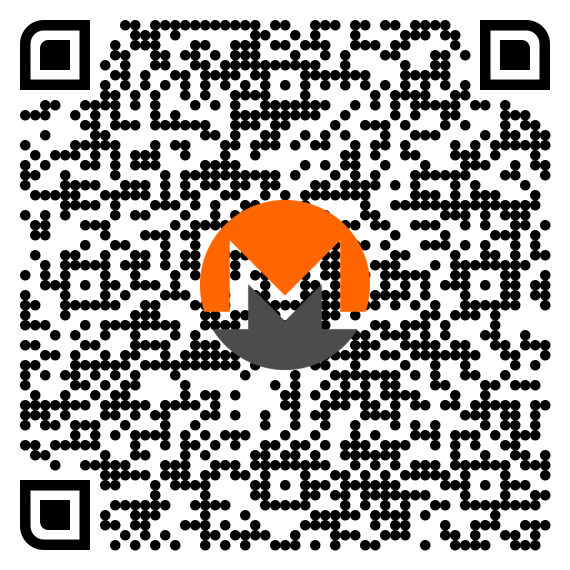 (3) Cover; cook on Low heat setting 3 to 4 hours. Let stand 10 minutes before serving. Top with green onion greens.